Bayard Berndt loved the rolling hills of Northern Delaware and nearby Pennsylvania. He loved the area's meandering streams and picturesque urban scenes. These were things he had known since childhood. It was natural they would become the subject matter of much of his art. ​He was a "local" artist, but his art was much broader than the usual barns and covered bridges. Urban street views constitute some of his most appealing work. His interest in history led him to depict many places and events as he imagined they would have appeared in the past. These carefully researched paintings are highly prized by collectors. Over the years Bayard developed his own style of painting: strong color and a minimum of details. Consciously or unconsciously he must have believed Shakespeare was right when he said, "Brevity is the soul of wit." Far from photorealism, the work nevertheless puts the viewer in an identifiable place and does so in a beautiful way. I first met Bayard through his "day job" when he was the owner and proprietor of Hardcastle's art supply store on Shipley Street in Wilmington. This began a friendship that was to last until his death many years later. He was always willing to give me innumerable tips about somewhat esoteric points of frame making. We frequently discussed the Delaware art scene, particularly the period during the thirties and forties. From time to time I was permitted to retrieve odd bits of obsolete or discontinued picture frame molding firm the storage room. When I began to sculpt Bayard was very supportive and encourage to keep at it. The first show of my sculpture in a gallery setting Hardcastle's Ninth Street store. Bayard Berndt and my father, Bayard Allmond, were near contemporaries and both had grown up in Wilmington. Both men were called "Bayard", a name with strong Delaware connotations, but they had never met. Imagine the great pleasure it was for me to introduce the two Bayards to each other. Perhaps less well known than Bayard's artistic ability was his considerable skill as a musician. He and Rita, his wife, once participated in a gathering of friends at our home. We had an old upright piano that Bayard proceeded to play for the better part of the evening sans sheet music, much to the delight of those in attendance. This book fills a definite need in a couple of ways. First, it adds to our knowledge of Delaware art in the Twentieth Century and second, it brings together a major collection of paintings of Bayard Berndt. It gives the reader an understanding of the importance of his work and his place in the art world. Bayard came of age during the Great Depression at a time of limited opportunities. Economic necessity precluded him from pursuing a career as a full-time artist, yet over his lifetime he produced an impressive body of work beautifully evocative of the places he loved and knew so well. ABOUT CHARLES ALLMOND AND HIS ART: Mr. Allmond draws artistic inspiration from nature and expresses it in the distinctive sculptures he produces in the studio he has occupied for the past three decades. Primarily a direct carver in stone and wood, he also produces limited editions of many of his works in bronze. His works range in style from realism to abstract. He is a past president of the Society of Animal Artists, an international organization of painters and sculptors who depict living creatures in their work. He has also frequently been a judge at the Ward World Championship Wildfowl Carving Competition in Ocean City MD. 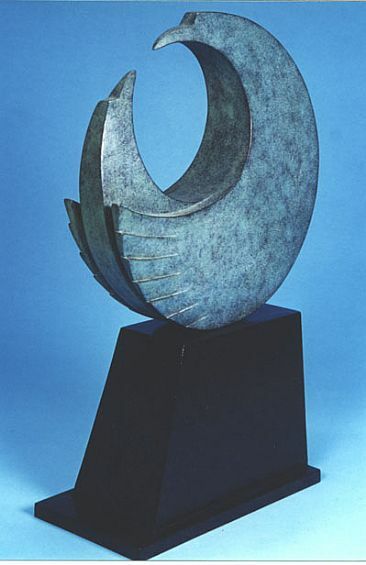 His sculptures have been exhibited widely in the United States, Canada, and Sweden, where the work has received critical acclaim. Venues have included more than 100 museums. 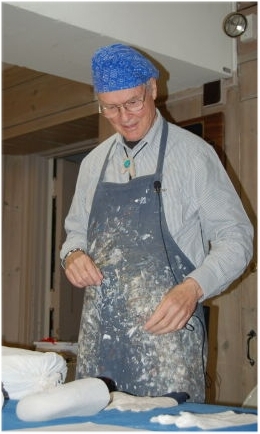 For more information about Mr. Allmond's work and artistic accomplishments please refer to http://www.natureartists.com/charles_allmond.asp.